Developing stronger links with Genie under the watchful eye of Youngman Richardson & Co has proven a shrewd decision for Access Solutions, “We have found working with Genie to be very valuable,” said Biddick. “This positive experience is at the core of why we went through the process of making Genie an important access equipment supplier. With over 450 access machines available for hire, Biddick describes Access Solutions as a full supplier to a wide variety of industry sectors in New Zealand. “Construction is a significant part of the New Zealand marketplace now, and we’re supporting customers in this sector,” said Biddick. “Our machines are being used in industrial maintenance activities, in warehouses, the full gamut of industrial services in reality.” Furthermore, Access Solutions’ machines service New Zealand’s film industry. The access specialist is renting out machines for a wide variety of general maintenance activities too. 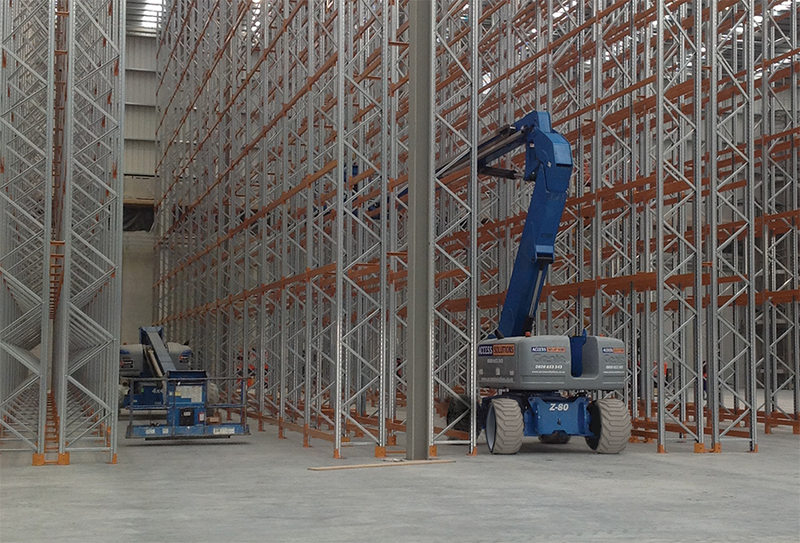 Farmers, one of New Zealand’s leading department stores, recently built a brand-new custom designed distribution centre in East Tamaki, Auckland, with the support of Genie and Access Solutions.